I hope you guys are having a wonderful week so far. I have two new shades from KBShimmer's Winter/Holiday 2016 collection to share with you. 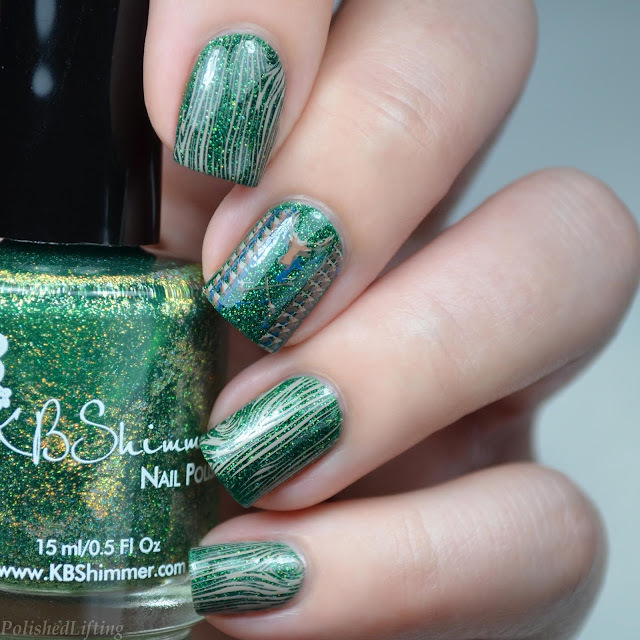 Today will focus on KBShimmer Spruce Things Up. It's one of 18 shades that was released in this year's Winter/Holiday collection. 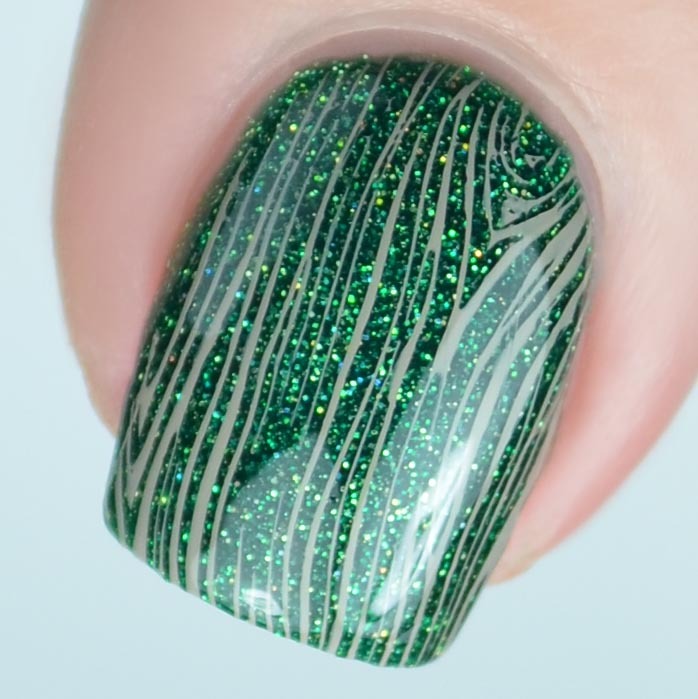 Notes: Green polish is the best polish, so it should come at no surprise that I would love this holo packed green jelly. 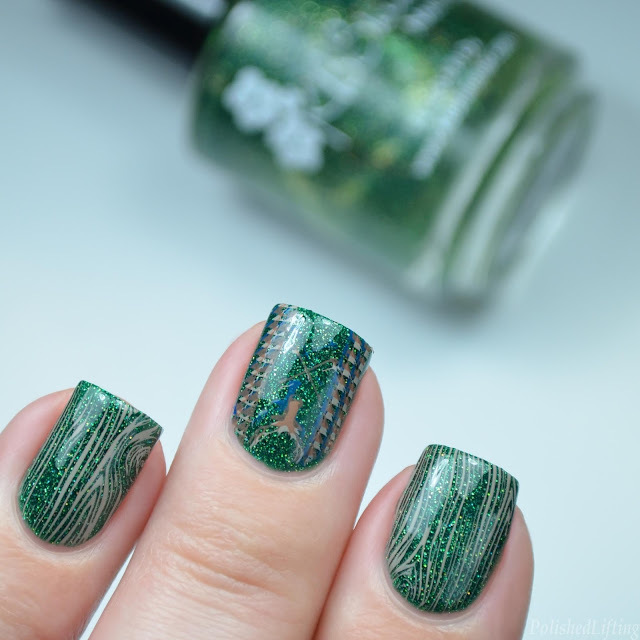 I've been on a huge stamping kick recently, so I really wanted to do this shade justice. Since this polish was inspired by spruce trees I felt as though it would only be fitting to give it a rustic, wood appearance. 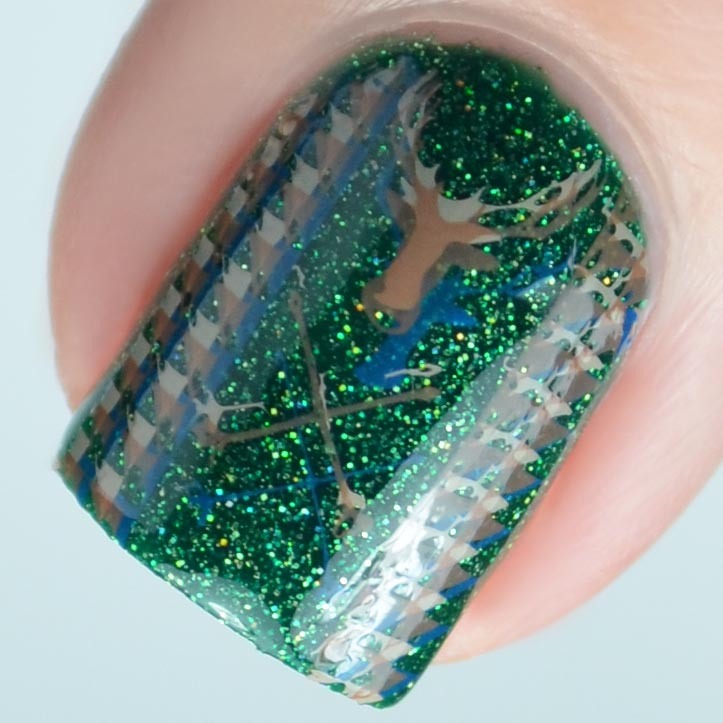 KBShimmer Spruce Things Up is currently available on her website for $9.25 + s&h. Stay tuned for another KBShimmer Winter/Holiday 2016 shade on Friday. If you enjoyed this post you might like KBShimmer Flake Me Home Tonight & Poppy Kisses.